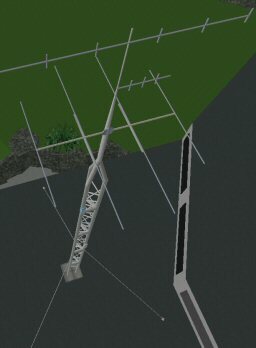 These radio antennas are a nice touch to any important buildng which may need them. Comes in two styles. 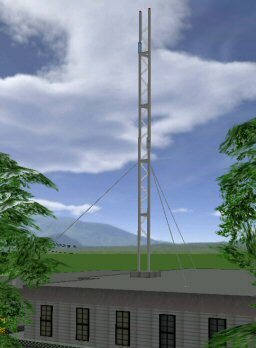 The base object will be the center of the antenna. Using the test clump will demostrate where the support wires will land.